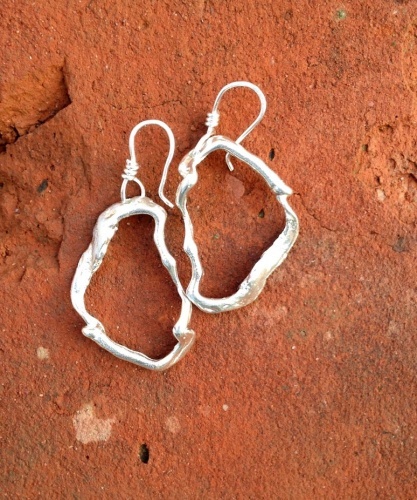 Sterling silver earrings created using a freeform loop that was originally done in wax and then cast. As we all know that fashion become the most interested category in all over the world and the need is to share your best products with all the customers. I like this earnings design and it's will be looking too good. TresClaudine handcrafted artisan jewelry using fine or sterling silver, copper, semi-precious gems and freshwater pearls, and repurposed bits.